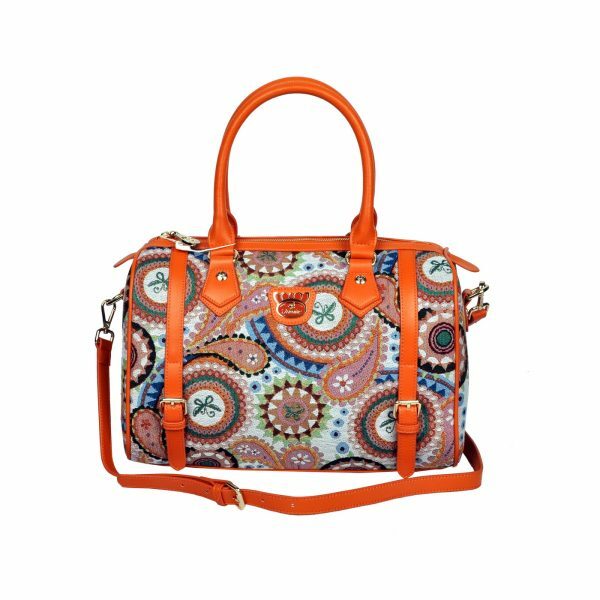 Our Jacquard Exotic Bag Series is composed of special Exotic Bags. Project an alluring, sophisticated and exotic look with the unique design of this Fricaine handbag. High quality, durable micro-fiber leather meshes with the body made from 100% cotton using special jacquard design and printing technology. 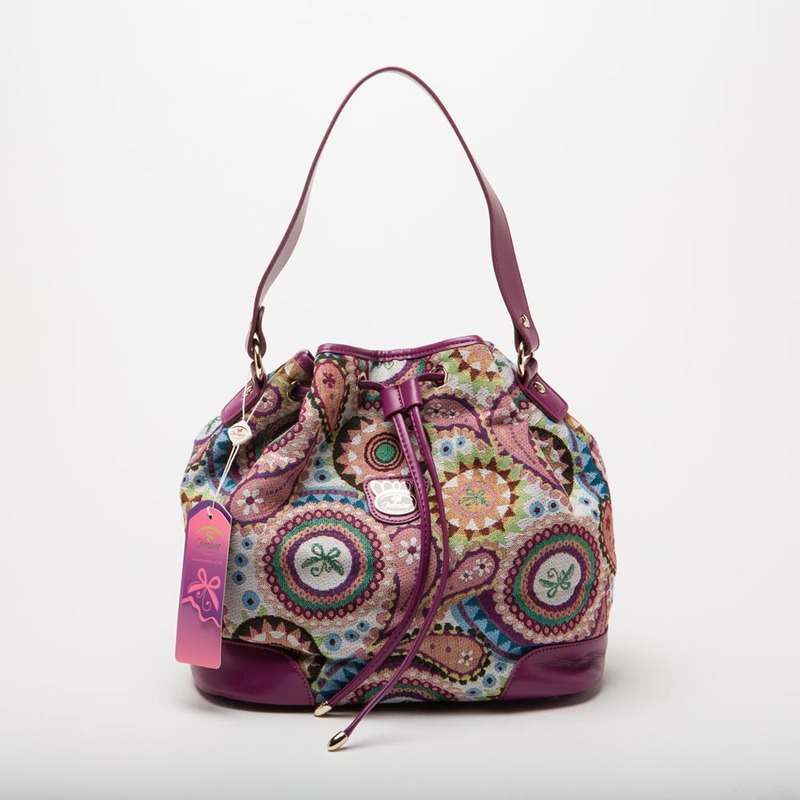 This roomy, eye-catching handbag has a custom-made lining that contrasts perfectly with the exterior. It has one card pocket, one interior cell phone pocket, one exterior pocket and one drop pocket. Comes with an adjustable and detachable strap. 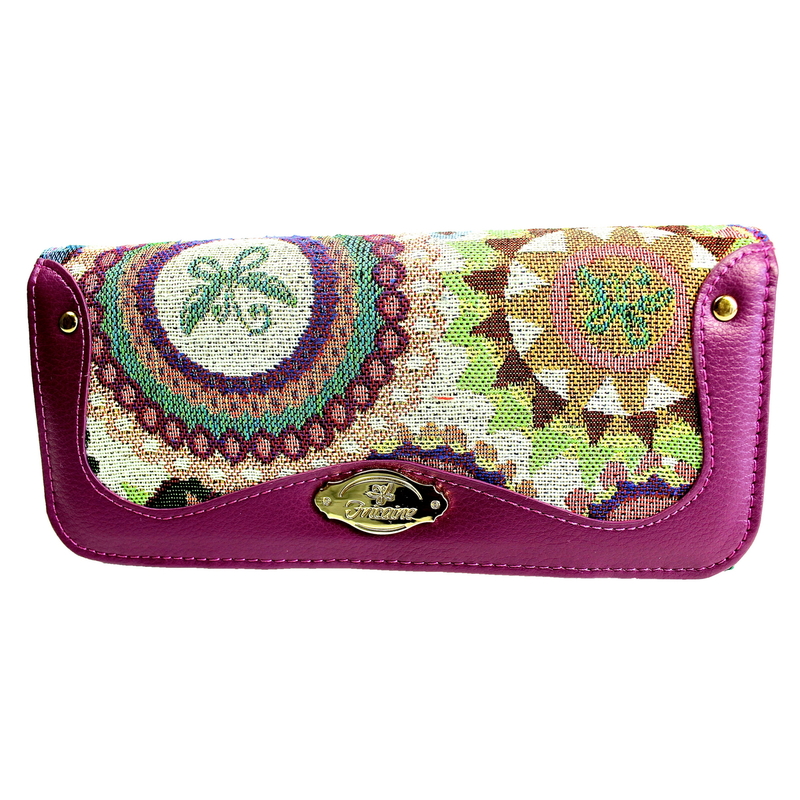 The pattern is vivid and the handbag is very comfortable to carry. 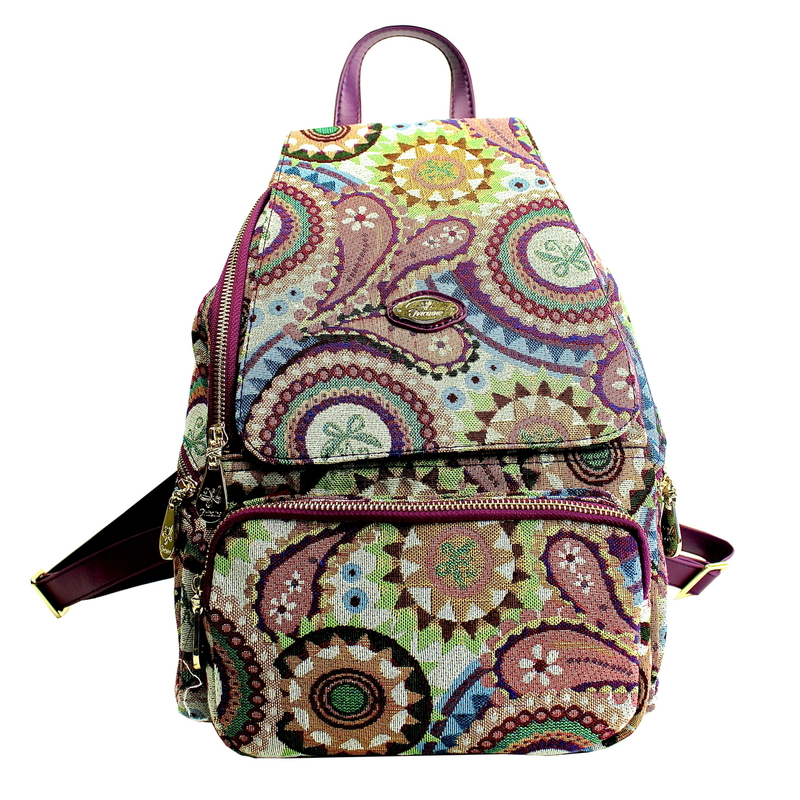 Dimension: 15"(L) x 7"(W) x 11"(D) Shoulder Drop: 7" Long Adjustable Strap: 55"